This is my replacement of the original Elektor Formant COM module. I discarded the original circuitry because of the TL085 used with his unusual pinout and the availability of dedicated audio operational amplifiers. I used a more effective filter implementation for tone control. 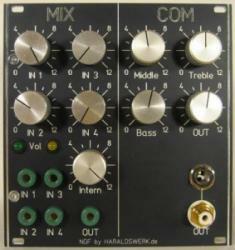 A mixer front end with four external inputs is added to make patching easier. A optional level indicator makes it easier to find the right volume level for best SNR. The maximum output volume is adjustable to protect your PA. 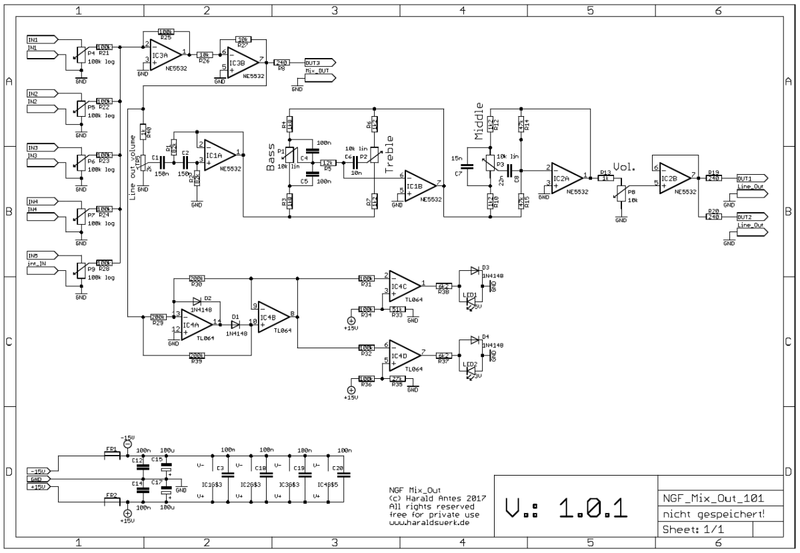 Nothing special in this schematic. The tone control is a Baxandall type. Adjust the maximum output volume with TR5.